When she arrives, Teera finds a country of survivors, where perpetrators and victims of recent atrocities are finding a way to live side by side. She reacquaints herself with places that ignite long-buried memories and prepares herself to learn her father’s fate from the author of the letter, known as the Old Musician. 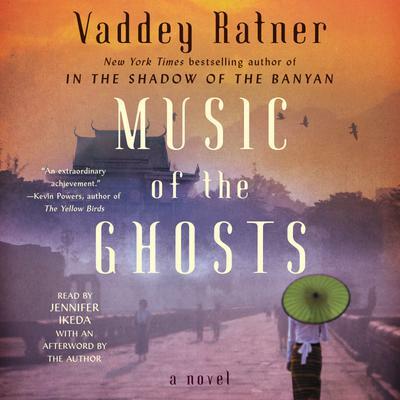 Now a half-blind elderly man who earns his keep by playing music for funerals and spirit ceremonies at a temple, the Old Musician waits for Teera’s visit, anticipating the confession he must make. He remembers his love for her mother, his admiration for her father, and the passion with which they all embraced the Khmer Rouge’s promise of a democratic society, embarking on a journey that ended in the horror chamber only he survived. Who can we forgive? What is justice? How do we atone? Together Teera and the Old Musician confront the truth of their intertwined past, weaving a melody that will leave both transformed, and freeing Teera to find a new home and a new love in the places she least expects.